Bergeron, D. J., Clauss, W., Pilloud, D. L., Dutton, P.L., and Johnson, A.T., “STM Studies of Synthetic Peptide Monolayers,” p. 456-459 in Electronic Properties of Novel Materials-Progress in Molecular Nanostructures, proceedings of the XII International Winter School, Kirchberg, Tyrol, 1998, ed. Hans Kuzmany, Jörg Fink, Michael Mehring, and Siegmar Roth (AIP Conference Proceedings 442, Woodbury, New York). Brennan, K. R., Epstein, A. J., Kahol, P. K., Feng, J., Zhou, Y. and MacDiarmid, A. G., “EPR of Aniline Oligomers,” Bull. Amer. Phys. Soc. 43, 477 (1998). 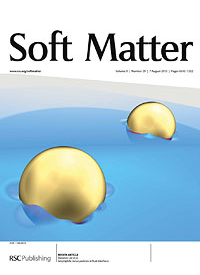 Composto, R. J. and Oslanec, R. O., “Polymer Brushes in the Melt” Polymer Surfaces, Interfaces and Thin Films, World Scientific Publishing, River Edge, NJ. (1998)*. Egami, T., Dmowski, W., Akbas M. and Davies, P. K., “Local Structure and Polarization in Pb Containing Ferroelectric Oxides,” AIP Conf. Proc., 436, 1 (1998). Gao, J., Li, K., Zhang, W. J., Wu, Z., Feng, J. and MacDiarmid, A. G., “Synthesis of Electroactive Macromonomer and Copolymers,” Polymer Preprints 39, 1 532 (1998). 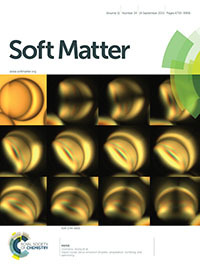 Hsu, P., Poulin, P. and Weitz, D. A., “Rotational Diffusion of Monodisperse Liquid Crystal Droplets,” J. Colloid Int. Sci. 200, 181 (1998). Joo, J., Long, S. M., Pouget, J. P., Oh, E. J., MacDiarmid, A.G. and Epstein, A. J., “Charge Transport of the Mesoscopic Metallic State in Partially Crystalline Polyanilines,” Phys. Rev. B. 57, 16, 9567 (1998). Katz, S. M., Reichl, J. A. and Berry, D. H., “Efficient Synthesis of New Poly(arylmethylgermanes),” J. Am. Chem. Soc. 120, 9844-9849 (1998). Krall, A. H. and Weitz, D. A., “Internal Dynamics and Elasticity of Fractal Colloidal Gels,” Phys. Rev. Lett. 80, 778 (1998). Kumble, R., Palese, S., Lin, V. S.-Y., Therien, M. J. and Hochstrasser, R. M. “Ultrafast Dynamics of Highly Conjugated Porphyrin Arrays,” J. Am. Chem. Soc. 120, 11489-11498 (1998) . 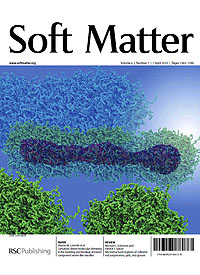 Lubensky, T. C., Pettey, D., Currier, N. and Stark, H., “Topological Defects and Interactions in Nematic Emulsions,” Phys. Rev. E 57, 610-25 (1998). MacDiarmid, A. G., Zhang, W. J., Wang, P-C. and Huan, Z., “Application of Thin Films of Conjugated Polymers in Sensors for Hydrocarbon Vapors and in Microcontact-Printed Liquid Crystal Displays,” Proc. Int’l. School Conf. ‘Solid State Physics: Fundamentals & Applications’ (SSPFA’97), Katsyveli, Crimea, Ukraine 97 (1997). MacDiarmid, A. G., Zhang, W. J., Feng, J., Huang, F. and Hsieh, B.R., “Thin Films of Electroactive Oligomers and Polymers Application in Sensors for Volatile Organic Compounds and in Light-Emitting Devices,” Proc. Soc. of Plastics Engineers (ANTEC’98) II, 1330 (1998). MacDiarmid, A. G., Huang, F. and Hsieh, B. R., “Dependency of Characteristics of Polymer LEDs on Presence of Ionic Species,” Bull. Amer. Phys. Soc. 43, 389 (1998). MacDiarmid, A. G., Huang, F. and Hsieh, B. R., “Role of Ionic Species in Modifying Properties of Organic LEDs,” Polymer Photonic Devices, 3281, 156 (1998). MacDiarmid, A. G., Zhang, W. J., Feng, J., Huang, F. and Hsieh, B. R., “Application of Thin Films of Conjugated Oligomers and Polymers in Electronic Devices,” Polymer Preprints 39, 1, 80 (1998). MacDiarmid, A. G., Wang, P-C. and Huang, Z., “Critical Dependency of the Conductivity of Polypyrrole and Polyaniline Films on the Hydrophobicity/Hydrophilicity of Substrate Surface,” Proc. Workshop on Processing Conducting Polymer Materials and Devices, 20 (1998). MacDiarmid, A.G., Zhang, W. J., Feng, J., Huang, F. and Hsieh, B. R., “Application of Thin Films of Conjugated Oligomers and Polymers in Electronic Devices,” Proc. IUPAC, Gold Coast, Australia, 302 (1998). MacDiarmid, A. G., Zhang, W. J. and Feng, J. 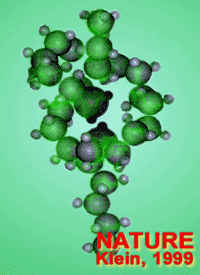 ” ‘Electronic Noses’: Aniline Oligomers as Sensors for Volatile Organic Compounds,” Bull. Amer. Phys. Soc., 43, 41 (1998). Pettey, D. and Lubensky, T. C., “Topological Inclusions in 2D Smectic-C Films,” Liq. Crystals 25, 579-587 (1998). Polis, D. L. and Winey, K. I., “Controlling Kink Band Morphology in Block Copolymers: Threshold Criteria and Stability,” Macromolecules 31, 3617-3625 (1998). Poulin, P. and Weitz, D. A., “Inverted and Multiple Nematic Emulsions,” Phys. Rev. E 57, 626 (1998). Reichl, J. A. and Berry, D. H., “Recent Progress in Transition Metal-Catalyzed Reactions of the Silicon, Germanium, and Tin,” Adv. in Organomet. Chem. 43, 197-265 (1998). Su, J., Zhang, Q., Wang, P-C., MacDiarmid, A. G. and Wynne, K. J., “Preparation and Characterization of Electrostrictive Polyurethane Films with Conductive Polymer Electrodes,” Polymers for Advanced Technologies, 9:6, 317 (1998). Verma, R., Crocker, J. C., Lubensky, T. C. and Yodh, A.G., “Entropic Colloidal Interactions in Concentrated DNA Solutions,” Phys. Rev. Lett. 81, 4004 (1998). 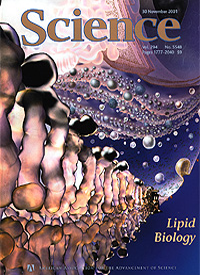 Bandyopadhyay, S., Shelley, J. C., Tarek, M., Moore, P. B. and Klein, M. L., “Surfactant Aggregation at a Hydrophobic Surface,” J. Phys. Chem. B 102, 6318-6322 (1998). 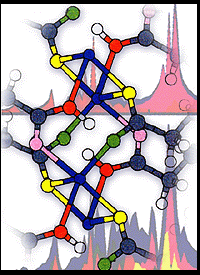 Bendele, G. M., Stephens, P. W. and Fischer, J. E. “Octahedral Cations in Rb3C60: Reconciliation of Conflicting Evidence from Different Probes,” Europhys. Lett. 41, 553 (1998). Bindra, C., Nalimova, V. A. and Fischer, J. E., “In-plane Structure and Thermal Instability of LiC2.18 Based on Boron-doped Graphite,” Mol. Cryst. Liq. Cryst. 310, 19 (1998). Bindra, C., Nalimova, V. A., Sklovsky, D. E., Benes, Z. and Fischer, J. E., “Super-dense LiC2 as a High Capacity Li Intercalation Anode,” J. Electrochem. Soc. 145, 2377-2380 (1998). Bindra, C., Nalimova, V. A., Sklovsky, D. E., Kamitakahara, W. A. and Fischer, J. E., “Statics and Dynamics of Interlayer Interactions in the Superdense High Pressure Graphite Compound LiC2,” Phys. Rev. B 57, 5182 (1998). Bonnell, D. A., “Atomic Structure of Transition Metal Oxide Surfaces from Scanning Tunneling Microscopy,” Progress in Surface Science 57, 187-252 (1998). Bonnell, D. A., Liang, Y., Wagner, M., Carroll, D. and Rühle, M., “Effect of Size Dependent Interface Properties on Stability of Metal Clusters on Ceramic Substrates,” Acta Met 46, 2263-2270 (1998). Bozhko, A. D., Sklovsky, D. E., Nalimova, V. A., Rinzler, A. G., Smalley, R. E. and Fischer, J. E., “Resistance vs. Pressure of Single Wall Carbon Nanotubes,” Applied Physics A 67, 75 (1998). Chen, X., Moser, C. C., Pilloud, D. L. and Dutton, P. L., “Molecular Orientation of Langmuir-Blodgett Films of Designed Heme Protein and Lipoprotein Maquettes,” J. Phys. Chem. B 102, 6425-6432 (1998). Clauss, W., Bergeron, D. J. and Johnson, A. T., “Atomic Resolution STM Imaging of a Twisted Single-Wall Carbon Nanotube,” Phys. Rev. B 58, R4266-4269 (1998). Clauss, W., Bergeron, D. J. and Johnson, A.T., “Observation of elastic deformations in single-walled carbon nanotubes by scanning tunneling microscopy,” p. 92-96 in Electronic Properties of Novel Materials-Progress in Molecular Nanostructures, proceedings of the XII International Winter School, Kirchberg, Tyrol, 1998, ed. Hans Kuzmany, Jörg Fink, Michael Mehring, and Siegmar Roth (AIP Conference Proceedings 442, Woodbury, New York). Claye, A., Zhou, P., Fischer, J. E., Disma, F. and Tarascon, J.-M., “Local Structure of Ball-milled Carbons for Lithium Ion Batteries: A Pair Distribution Function Analysis,” in Materials for Electrochemical Energy Storage and Conversion II, ed. D. Ginley (Materials Research Society, Pittsburgh 1998) p. 563. Cortez, E., Remsen, E., Chlanda, V., Wideman, T., Zank, G., Carrol, P. and Sneddon, L. G., “Solution Properties and Spectroscopic Characterization of Polymeric Precursors to SiNCB and BN ceramic Materials” AIP Conf. Proc. 430, 476-479 (1998). Danen, R. M., Wang, Y., Li, X.D, Thayer, W. S. and Yodh, A. G., “Regional Imager for Low Resolution Functional Imaging of the Brain with Diffusing Near Infrared Light,” Photochemistry and Photobiology 67, 33-40 (1998). Dinsmore, A. D., Crocker, J. C. and Yodh, A. G., “Self-assembly of Colloidal Crystals Current Opinion in Colloid and Interface Science,” 3, 5-11 (1998). Dinsmore, A.D.,. 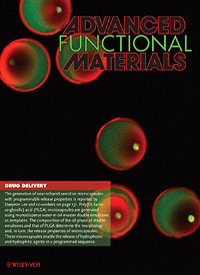 Wong, D.T., Nelson, P. and Yodh, A.G., “Hard Spheres in Vesicles: Curvature-Induced Forces and Particle-Induced Curvature,” Phys. Rev. Lett. 80 409-412 (1998). Discher, D. E., Boal, D. H., and Boey, S. K., “Simulations of the Erythrocyte Cytoskeleton at Large Deformation II: Micropipette Aspiration,” Biophys. J. 75, 1584-1597 (1998). Dvorak, J. and Dai, H.-L., “A Temporarally and Spatially Resolved Linear Optical Probe of Adsorption and Reacton on a Metal Surface,” SPIE Proceeding on Laser Techniques for Surface Science, Vol. 3272 (Int. Soc. Opt. Eng., Bellington, WA 1998) 84-92. Ezbiansky, K., Djurovich, P. I., LaForest, M., Sinning, D. J., Zayes, R. and Berry, D. H., “Catalytic C-H Bond Functionalization: Synthesis of Arylsilanes by Dehydrogenative Transfer Coupling of Arenes and Triethylsilane,” Organometallics 17, 1455-1457 (1998). Fischer, J. E., Lee, R. S., Thess, A. and Smalley, R. E., “Crystalline Ropes of Single Wall Carbon Nanotubes: Structure, Electronic Transport and Intercalation,” Mol. Cryst. Liq. Cryst. 310, 155 (1998). Genzer, J. and Composto, R. J., “The Effect of Molecular Weight on the Interfacial Excess, Tension, and Width in a Homopolymer/Binary Polymer Blend System,” Macromolecules 31, 870 – 878, 1998)*. Gidalevitz, D., Mindyuk, O. Y., Heiney, P. A., Ocko, B .M., Kurnaz, M. L. and Schwartz, D. K., “Thermal Melting in Langmuir Films of Discotic Liquid Crystalline Compounds,” Langmuir 14, 2910-2915 (1998). Gidalevitz, D., Mindyuk, O. Y., Stetzer, M. R., Heiney, P. A., Kurnaz, M. L., Schwartz, D. K., Ocko, B. M., McCauley, J. P., Jr., and Smith, A. B., III, “A Conformational Phase Transition in a Langmuir Film of an Amphiphilic Azacrown,” J. Phys. Chem. B 102, 6688-6691 (1998). Heiney, P. A., Gidalevitz, D., Maliszewskyj, N. C., Satija, S., Vaknin, D., Pan, D., and Ford, W. T., “Multilayer Formation in an Azacrown  N6 Langmuir Film,” Chemical Communications, 1483-1484 (1998). 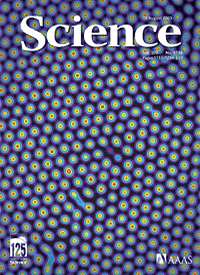 Howe, P.-T. and Dai, H.-L., “The Mechanism of Photo-induced Desorption of Moelcules Weakly Adsorved on a Metal Surface,” SPIE Proceeding on Laser Techniques for Surface Science, Vol. 3272 (Int. Soc. Opt. Eng., Bellington, WA) 143-151 (1998). Howe, P-T. and Dai, H. L., “Photodesorption of Physisorbed Molecuules from a Ag(111) Surface; The Low Photon Energy Threshold and the Low Translational Temperature of Desorbed Molecules,” J. Chem. Phys. 108, 7775-85 (1998). Hyslop, A. G., Kellett, M. A., Iovine, P. M. and Therien, M. J., “Suzuki Porphyrins: New Synthons for the Fabrication of Porphyrin-Containing Supramolecular Assemblies, J. Am. Chem. Soc. 120, 12676-12677 (1998). Johnansson, J. S., Bigney, B. R., Skalicky, J. J., Wand, A. J. and Dutton, P. L., “A Native-Like Three-a-Helix Bundle Protein from Structure-Based Redesign: A Novel Maquette Scaffold,” J. Amer. Chem. Soc. 120, 3881-3886 (1998). Kane, C. L., Mele, E. J., Lee, R. S., Fischer, J. E., Petit, P., Dai, H., Thess, A., Smalley, R. E.,. Verscheueren, A. R. M., Tans, S. J. and Dekker, C., “Temperature Dependent Resistivity of Single Wall Carbon Nanotubes,” Europhys. Lett. 41, 683-688 (1998). Karki, L., Vance, F. W., Hupp, J. T., LeCours, S. M., and Therien, M. J., “Electronic Stark Effect Studies of a Porphyrin-Based Push-Pull Chromophore Displaying a Large First-Order Hyperpolarizability: State-Specific Contributions to ,” J. Am. Chem. Soc. 120, 2606-2611 (1998). 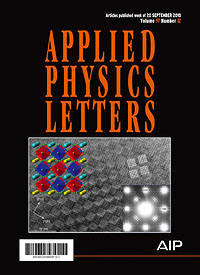 Kung, A. H., Chen, P. J., Lee, J., Sharma, J. and Dai, H.-L., “Compact Solid State UV Laser for Photochemistry and Materials Processing,” SPIE Proceeding on Laser Techniques for Surface Science, Vol. 3272 (Int. Soc. Opt. Eng., Bellington, WA) 100-104 (1998). Lammert, P. E. and Discher, D. E., “Tethered Nets in Two Dimensions: a Low-Temperature View,” Physical Review E 57, 4368-4374 (1998). Lefebvre, J., Antonov, R. and Johnson, A. T., “STM Morphology Study of Ropes of Single-Wall Carbon Nanotubes,” Appl. Phys. A 67, 71-74 (1998). Lubensky, T. C., Harris, A. B., Kamien, R. D. and Yan, G., “Chirality in Liquid Crystals: from Microscopic Origins to Macroscopic Structure,” Ferroelectrics 212, 1-20 (1998). Mindyuk, O. Y., Stetzer, M. R., Heiney, P. A., Nelson, J. C. and Moore, J. S., “High Resolution X-ray Diffraction Study of a Tubular Liquid Crystal,” Adv. Mater 10, 1363-1366 (1998). Mulholland, S. E., Gibney, B. R., Rabanal, F. and Dutton, P. L., “Characterization of the Fundamental Protein Ligand Requirements of [4Fe-4S]2+/+ Clusters with Sixteen Amino Acid Maquettes,” J. Amer. Chem. Soc. 120, 10296-10302 (1998). Nelson, P. “New Measurements of DNA Twist Elasticity, Biophys. J. 74, 2501-2503 (1998). Pender, M., Wideman, T., Carroll, P. J., and Sneddon, L. G., “Transition Metal Promoted Reactions of Boron Hydrides. 15. Titanium Catalyzed Decaborane-Olefin Hydroborations: One-Step, High-Yield Syntheses of Monoalkyldecaboranes,” J. Am. Chem. Soc. 120, 9108-9109 (1998). Pilloud, D. L., Moser, C. C., Reddy, S. and Dutton, P. L., “Surface-Promoted Thioether Linkage between Proto- or Hemato Porphyrins and Thiol-Silanized Quartz: Formation of Self-Assembled Monolayers and Interaction with Imidazole and Carbon Monoxide,” Langmuir 14, 4809-4818 (1998). Pinheiro, B. S. and Winey, K. I., “Mixed Parallel-Perpendicular Morphologies in Diblock Copolymer Systems Correlated to the Linear Viscoelastic Properties of the Parallel and Perpendicular Morphologies,” Macromolecules 31, 4447-4456 (1998). Pykhtin, M. V., Lewis, S. P., Mele, E. J. and Rappe, A. M., “CollectiveMotion and Structural Order in Adsorbate Vibrational Dynamics, Phys. Rev. Lett. 81, 5940-5943 (1998). Radosavljevic, M., Papanek, P., and Fischer, J. E., “Reactions of Lithium with Small Graphene Fragments: Semi-empirical Quantum Chemical Calculations,” in Materials for Electrochemical Energy Storage and Conversion II, ed. D. Ginley (Materials Research Society, Pittsburgh 1998) p. 39. Ramer, N. J., Lewis, S. P., Mele, E. J., and Rappe, A. M., “Stress-Induced Phase Transition in PZT,” in First-Principles Calculations for Ferroelectrics: Fifth Williamsburg Workshop, ed. R. E. Cohen, p. 156 (1998). Ramer, N. J., Mele, E. J. and Rappe, A. M., “Theoretical Examination of Sress Fields in Pb(Zr0.5Ti0.5)O3,” Ferroelecrics 31, 206-207 (1998). Rinzler, A. G., Liu, J., Nikolaev, P., Huffman, C. B., Rodriguez-Macias, F. J., Boul, P. J., Lu, A. H., Heymann, D., Colbert, D. T., Lee, R. S., Fischer, J. E., Rao, A. M., Eklund, P. C. and Smalley, R. E., “Large Scale Purification of Single Wall Carbon Nanotubes: Process, Product and Characterization,” Applied Physics A 67, 29 (1998). Robert, J., Petit, P., Yildirim, T. and Fischer, J. E., “Experimental Lattice Dependence of the Density of States in Alkali Fullerides,” Phys. Rev. B 57, 1226 (1998). Röthlisberger, U., Sprik, M. and Klein, M. L., “Ab initio molecular dynamics study of the Initiation Step in the Polymerization of Isoprene Induced by Ethyl Lithium,” J. Chem. Soc., Faraday Trans. 94, 501-508 (1998). Sjodin, T., Dai, H.-L. and Petek, H., “Ultrafast Carrier Dynamics Near A Si(111) Surface: A Two-Color Transient Reflection Grating Study,” Phys. Rev. Lett. 81, 5664-5668 (1998). Sjodin, T., Dai, H.-L. and Petek, H., “Ultrafast Carrier Dynamics near a Si Surface: A Reflective Transient Grating Study,” SPIE Proceeding on Laser Techniques for Surface Science, Vol. 3272 (Int. Soc. Opt. Eng., Bellington, WA) 238-247 (1998). Verma, R., Crocker, J.C., and Yodh, A.G., “Entropic Colloidal Interactions in Concentrated DNA Solutions,” Phys. Rev. Lett. 81, 4004-4007 (1998). Wagner, M., Bonnell, D. A. and Rühle, M., “A New Reconstruction on TiO2 (110),” Applied Physics A 66 (1998) 1165-70. Walter, E. J., Lewis, S. P. and Rappe, A. M., “Internally Consistent Predictions of Surface Structural Relaxations,” Laser Techniques for Surface Science III, Proc. SPIE 3272, 196 (1998). 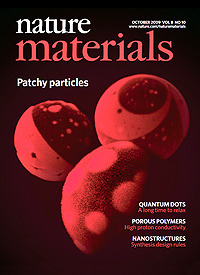 Wideman, T., Fazen, P. J., Su, K., Zank, G. A., Remsen, E. E. and Sneddon, L. G. “Second-Generation Polymeric Precursors for BN and SiNCB Ceramic Materials” Applied Organomet. Chem. 12, 681-693 (1998). Wideman, T., Fazen, P. J., Lynch, A. T., Su, K., Remsen, E. E. and Sneddon, L. G., “Borazine, Polyborazylene, B-Vinylborazine and Poly(B-Vinylborazine)” Inorganic Syntheses, Vol 32, ed. M. Darensbourg. Wiley: New York, pp 232-242 (1998). Wideman, T., Remsen, E. E., Carroll, P. J. and Sneddon, L. G., “Amine-Modified Polyborazylenes: “Second Generation” Precursors to Boron Nitride” Chem. of Materials, 10, 412-421 (1998). Wideman, T., Remsen, E. E., Zank, G. A. and Sneddon, L. G., “Polymeric Precusors for BN and SiNCB Ceramic Fibers” in Proceedings of the Ringberg Meeting on Grain Boundary Dynamics in Precursor Derived Ceramics, eds., J. Bill and F. Aldinger, VCR: New York, (1998). Yu, Z. Heinzel, T. and Johnson, A.T., “Addition Spectra of Arrays of Interacting Quantum Dots: Dependence on Array Geometry and Magnetic Field,” Phys. Rev. B 58, 13830-13834 (1998). 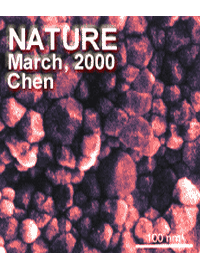 Zhou, P., Lee, R. S., Claye, A. and Fischer, J. E., “Layer Disorder in Carbon Anodes,” Carbon 36, 1777-1781 (1998). Bandyopadhyay, S., Klein, M. L., Martyna, G. J. and Tarek, M., “Molecular Dynamics Studies of the Hexagonal Mesophase of Sodium Dodecylsulphate in Aqueous Solution,” Molecular Physics 95, 377-384 (1998). Boey, S. K., Boal, D. H. and Discher, D. E., “Simulations of the Erythrocyte Cytoskeleton at Large Deformation I: Microscopie Models,” Biophys J. 75, 1573-1583 (1998). Bonnell, D. A., “Local Structure and Properties of Oxide Surfaces: Scanning Probe Analyses of Ceramics,” J. Am. Ceramic Soc. 81, 3049-3070 (1998). Bonnell, D., Jiron, D. and Flinn, T., ” Initial Stages of Silicate Growth on Graphite via TEOS Decomposition,” J. 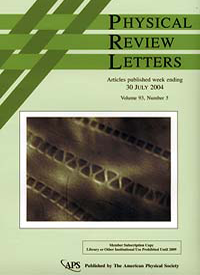 Materials Research 13, 217-222 (1998). 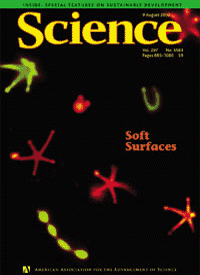 Brown, K. and Bonnell, D. A., “Segregation of Ca to Y3Al5O12 (111) Surfaces,” Surf. Sci. 414 341-352 (1998). Brown, K., Bonnell, D. A. and S-T. Sun, “Atomic Force Microscopy of Mechanically Rubbed and Optically Buffed Films,” Liquid Crystal, in press (1998). Discher, Dennis E., Boal, David H. and Boey, S. K., “Simulations of the Erythrocyte at Large DeformationII: Micropipette Aspiration,” Biophys. J. 75, 1584-1597 (1998). 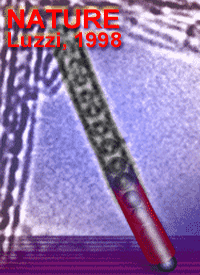 Dmowski, W., Mamontov, E., Egami, T., Putna, S. and Gorte, R. J., “Energy-Dispersive Surface X-ray Scattering Study of Thin Ceria Overlayer on Zirconia: Structural Evolution with Temperature,” Physica B, 248, 95 (1998). Hyslop, A. G. and Therien, M. J., “Synthesis of Porphyrin-Spacer-Quinone Compounds via Metal-Mediated Cross-Coupling: New Systems for Probing the Relative Magnitudes of Axial and Equatorial Electronic Coupling at the Porphyrin Macrocycle in Thermal and Photoactivated Electron Transfer Reactions,” Inorg. Chimica Acta. 275-276, 427-434 (1998). Jones, G. S., Mavrikakis, M., Barteau, M. A. and Vohs, J. M., “First Synthesis, Experimental and Theoretical Vibrational Spectra of an Oxametallacycle on a Metal Surface,” J. Amer. Chem. Soc. 120, 3196 (1998). Kiely, J. D. and. Bonnell, D.A., “Metal Ceramic Interface Toughness I: Plasticity on Multiple Length Scales,” J. Mat. Res. 13, 2871-2880 (1998). Kiely, J. D. and. Bonnell, D. A., “Local Plasticity at Metal Ceramic Interfaces,” Physica Status Solidi 166, 7-17 (1998). Kiely, J. D. and. Bonnell, D.A., “Metal Ceramic Interface Toughness II: Mechanisms of Fracture Energy Dissipation, J. Mat. Res. 13, 2881-2887 (1998). Kiely, J. D., Yeh, T. and Bonnell, D. A., “Evidence for the Segregation of Sulfur to Ni-Alumina Interfaces,” Surface Science 393, L126-L130 (1998). Král, F., Perednis, D., Huey, B., Bonnell, D. A., Kostorz, G. and Gauckler, L., “Imaging Current Flow in Polycrystalline Superconductors with Magnetic Force Microscopy,” Adv. Mat. 10, 1442-1448 (1998). Lam, H.-T., Venkateswaran, N. and Vohs, J. M., “The Reactions of Diethylzinc on Gallium-Rich and Arsenic-Rich Reconstructions of GaAs(100),” Surface Science 401, 34 (1998). Lammert, P. E and Discher, Dennis E., “Tethered Networks in Two Dimensions: A Low-Temperature View,” Phys. Rev. E 57, 4368-4374 (1998). Laurer, J. H. and Winey, K. I., “Direct Imaging of Ionic Aggregates in Zn-Neutralized Poly(ethylene-co-methacrylic acid) Copolymers,” Macromolecules 31, 9106-9108 (1998). Putna, E. S., Vohs, J. M., Gorte, R. J. and Graham, G. W., “An Examination of Praeseodymia as an Oxygen-Storage Component in Three-Way Catalysis,” Catalysis Letters 54, 17 (1998). Putna, E. S., Gorte, R. J., Vohs, J. M. and Graham, G. W., “Evidence for Enhanced Dissociation of CO on Rh/Ceria,” J. Catal. 178, 598 (1998). Miura, S., Tuckerman, M. E. and Klein, M. L., “An Ab Initio Path Integral Molecular Dynamics Study of Double Proton Transfer in the Formic Acid Dimer,” J. Chem. Phys. 109, 5290-5299 (1998). Wagner, M., Bonnell, D. and Rühle, M., “Nonstoichiometry on TiO2 (110) and Cu-TiO2 Interfaces,” J. Vac. Sci. and Technol. 16, 1078-1084 (1998).